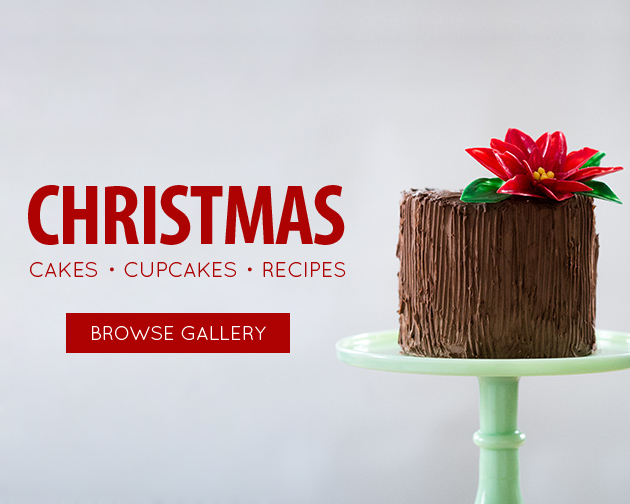 The holiday season is upon us and we could all use a little inspiration for our wintry cake flavors. Alcoholic beverages add just the right flavor profile to warm up and dramatize the season’s best cakes. Forget the boozy, insipid fruitcakes that often come to mind this time of year and see how alcohol works as the perfect flavor enhancer you have been looking for. 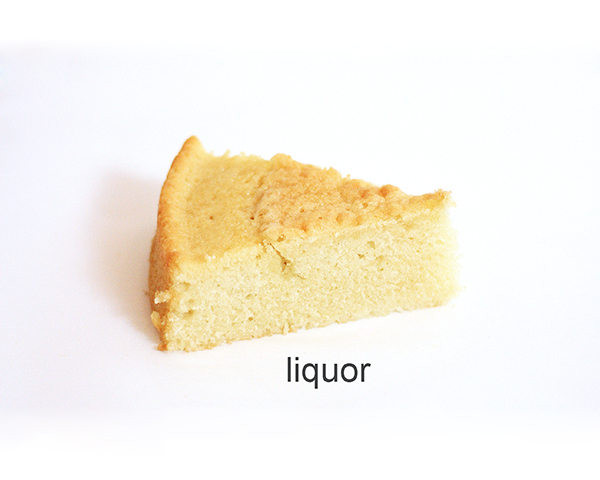 Alcohol improves the flavor of a cake in two ways. It incorporates flavors which are present in the alcohol itself and are determined by the fruit, grain or other source and the fermentation process. Alcohol is volatile, meaning it evaporates easily. When the alcohol evaporates, it carries other flavors from the cake with it. These “hitchhiker” flavors to seem more pronounced because they are carried by the alcohol through the nasal passages to where the flavors are interpreted. A concentration of about 1% ABV (alcohol by volume) is ideal for flavor enhancement, but this concentration is not always practical when adding low alcohol-concentration beverages to a cake; it would simply require the addition of too much liquid and would result in imbalance of ingredients. Determining the appropriate amount of your favorite adult beverage to include depends on the alcohol’s concentration, liquid ingredient balance and just how spirited you would like your cake to be. Although some of the alcohol cooks off during the baking process, a reasonable percentage remains for consumption (after baking for 30 minutes, 35% of the alcohol is still present). When adding alcohol to a cake it is also important to consider the effects on cake structure. 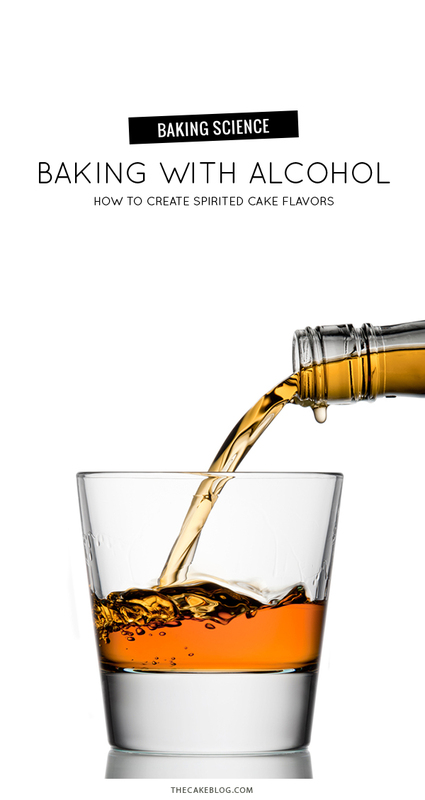 The alcohol itself will diminish the strength of the cake’s structural components. The acidity of the beverage can also reduce structural strength. 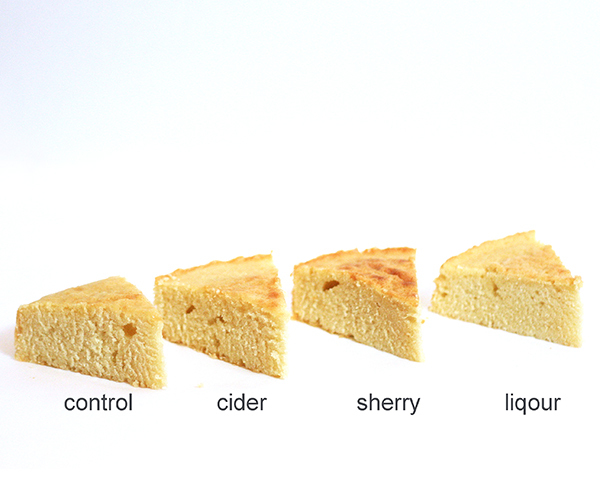 The following photo shows how certain types of fermented drinks affect cake structure. Water was added to the batter to compensate for volume differences. 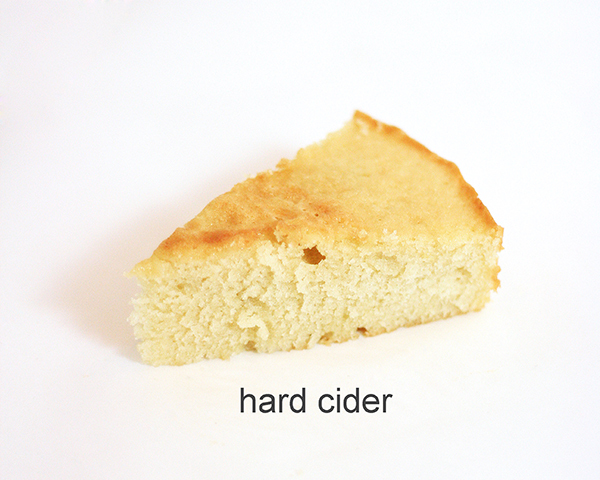 Compared to the control cake, to which only water was added, the hard cider cake displayed little structural change. 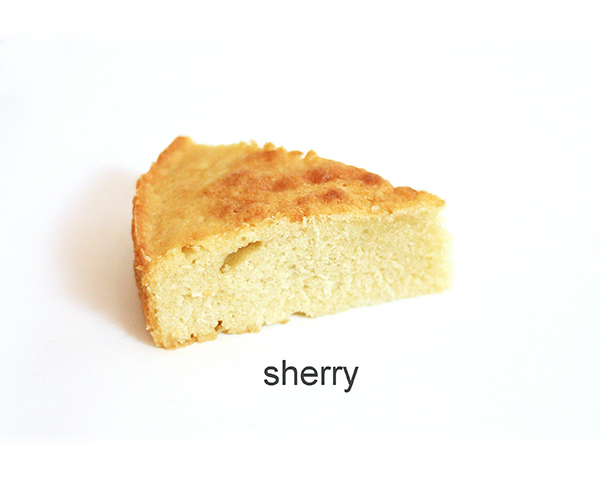 The cake containing sherry was ever so slightly more compact than the control and hard cider cakes, but still light and fluffy. The brandy cake was a bit more compact than the other three cakes but it still had a nice crumb and consistency (liquor cake words). All of the alcohol cakes had a unique and pleasant flavor and none of them seemed overly boozy. This year forget the fruit cake but keep the alcohol to liven up your layer cakes. It will upgrade your cake flavors and add wonderful aromaticity. Happy holiday baking! So, the take away for me from this article is not to add alcohol to cake batter if you will be serving to minors or AA members. I always thought the alcohol baked out but you’re saying that is not the case. Yes, this is true. My sister is a pharmacist and mentioned that certain medications react in an adverse way with small amounts of alcohol. Bottom line, if your cake contains alcohol be sure to make it known to those who will be consuming it. I often bake with booze; this guide has been very educational! I have definitely noticed a difference in texture when using different quantities of spirit, though sometimes the flavour is still barely perceptable. Instead of putting the alcohol in the batter, I make a simple syrup with the alcohol and soak the cake once it has been chilled. I often put a splash of alcohol in the icing depending on the flavor I’m after. That is another great option, thanks for mentioning it Jackie! We use a simple syrup approach in this Chocolate Bourbon Pecan Cake and more of a reduction approach in this Raspberry Champagne Cake. All of which are relish. Cheers! I am going to bake a cake with rum, which means I have to use 9 tablespoons. How much flower did you use/how big was the cake you made? Thank you. Do we reduce the amount of liquid and replace with alcohol? For example if a recipe calls for 1 cup of liquid, would I put in 3/4 of liquid and 1/4 cup of booze to make up the 1 cup of liquid? Sure, if your liquid is water that would work. If the liquid in your recipe is whole milk, it will reduce the fat content a tad. Summer’s experiment added the alcohol in addition to all of the milk in her recipe. Does this affect cakes whose dried fruits are soaked in alcohol?